When it comes to spring in Korea, we can never leave out the cherry blossoms. 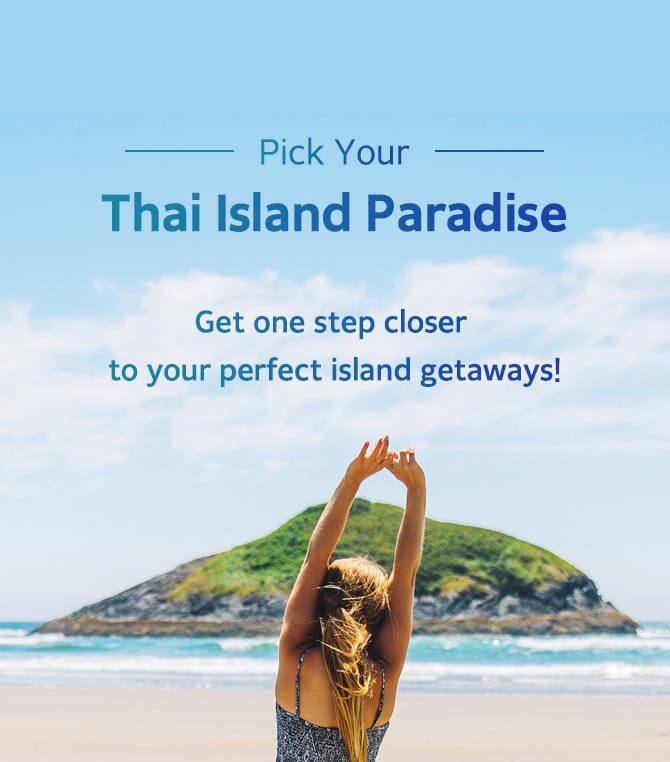 But if you don’t know where to go and catch them, here’s the perfect destination for you! The picture-perfect Bomun Lake in Gyeongju, a historic city in the southern part of Korea, shows off its best every April when 9,000 cherry trees around the lake burst into bloom. Bomun Lake is located at the center of Bomun Tourist Complex, a tourist district where you can find hotels, resorts, theme parks, an amusement park, and other various attractions. If you visit during the Gyeongju Cherry Blossom Festival, there are also live music and performances to keep you entertained as well. To get a better idea of what Gyeongju has to offer, I took a day trip during the festival period via a tour organized by Trazy.com, Korea’s #1 Travel Shop, which saved my time and made my trip very easy and convenient. Note that the bus ride takes around 5 hours (more or less depending on weekend or weekday) from Seoul to Bomun Lake. The festival runs during the peak of cherry blossom season, but you can still visit the lake and admire the cherry blossoms until mid-April. ※Like many other seasonal tours, I strongly advise you to check for weather conditions, availability of the tour and book your trip ahead of time. Enjoy the festival according to your travel style! Walking along the 8km-long cherry tree-lined path around the lake and taking in the beautiful lakeside scenery of Bomun Lake can be the best part of the festival, but there are certainly more options for you to enjoy. To help you maximize your trip via Trazy’s tour, here I recommend two routes – choose according to your travel style! ※Completing the entire walkway around Bomun Lake can take about 2 hours more or less and completing these recommended routes can take around 3~4 hours. ※See the map below for the location of each spot in the routes. For travelers who want to see a little bit of everything and are comfortable with a tight schedule, follow this route below! For those who want to make the most of their time around the lake and appreciate the scenery, take this route below! Everywhere in Gyeongju’s Bomun Tourist Complex are Instagram gold. But here are two of the most popular spots to take incredible photos! Waterwheel Square: This square is one of the most popular photo zones where many visitors take photos in front of this huge waterwheel set against a small waterfall and tree-lined path. Bomun Pavilion (Bomunjeong): Known as one of the “50 Beautiful Places to Visit in Korea” by CNN Travel, this is a picturesque pavilion that is a must-visit spot for all avid photographers. Takes 5 min from the Waterwheel Square by foot, across from the Hilton Hotel. Gyeongju’s Bomun Tourist Complex is very famous for their duck boats! So head over to Hoban Square and get yourself one of the duck boats. Paddle around the lake and share the fun experience with your loved ones. Why not try riding a bike instead of walking all the way around the entire lake? Feel the cool breeze and take in the view around the lake. Drop by the bike rental shop in front of Daemyung Resort in Bomun Tourist Complex. Rental fee costs 5,000 KRW for an hour. There are plenty of attractions to enjoy around the lake such as Gyeongju World Amusement Park, Gyeongju Teddy Bear Museum and Donggungwon, Korea’s first zoo and botanical garden. In my case, I dropped by Silla Millennium Park on my way back to the parking lot where I spent about an hour and a half during the trip. 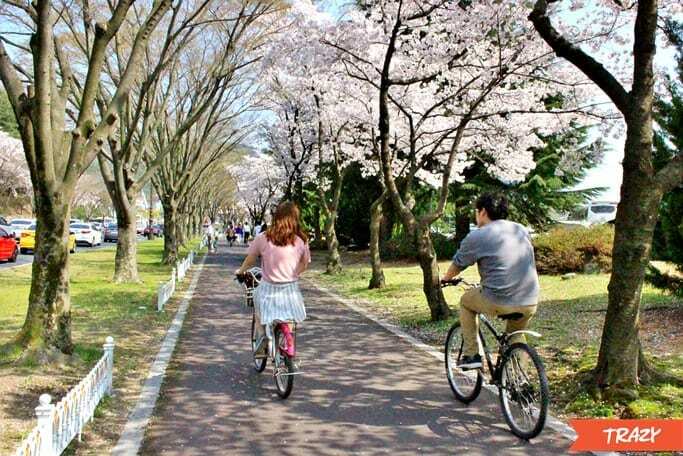 The park is quite impressive as it features traditional houses and historical landmarks from the Silla Kingdom and also offers beautiful cherry tree-lined paths. Also, I was lucky enough to watch a horse-riding performance by Hwarang warriors! For those who want to see more than just the lake, stop by Silla Millennium Park or any of the other attractions nearby during your visit. Here are some of the best Gyeongju’s local specialty dishes you should try! Enjoyed reading this blog post? Make sure to check out Trazy’s Gyeongju Cherry Blossom Festival Tour! First time traveling to Gyeongju? Once the capital of the ancient kingdom of Silla, Gyeongju stands as a city with a rich history of the thousand-year-old Silla Kingdom today. Known as ‘museum without walls‘, the historic city of Gyeongju offers bountiful UNESCO-designated sites and national treasures. For those traveling on a budget, there is a city tour bus in Gyeongju, which takes you around the major historical destinations on two different courses. Since Gyeongju is relatively close to the southern port city of Busan, it can be convenient to travel from Busan to Gyeongju. For those who want to visit Gyeongju from Busan, Trazy offers the following tours. Find more tours to Korea’s major spring festivals and cherry blossom festivals here. Follow our blog for upcoming travel reviews with handy travel tips! Check out Trazy.com, Korea’s #1 Travel Shop, for all the latest things to do in South Korea. Im interested in cherry blossom festival 1 day tour from seoul to gyeongju. Does same rate apply for children 10 yo, 3yo and 11months old?